Are you interested in learning about reindeer a.k.a caribou? Click on this link and learn about these beautiful creatures, make a diorama with the information learned about them, play some games and watch a short video of them in action! Santa is taking applications so he can find a new reindeer to help pull his sleigh! Maybe the reindeer you create will qualify to help! What will your reindeer need to know? Be able to do? Find out! Please read and follow print directions. 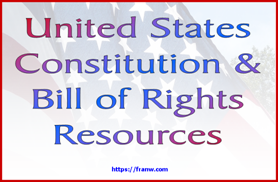 Can be played online or downloaded and printed. Help Santa find his reindeer. Great for beginners. Offers reindeer based coloring pages, crafts, recipes, and a reindeer jigsaw puzzle that can be done online. Take a minute to visit Raymond, who lives in the Reindeer Barn, if you click on certain areas of the barn (they “swell” as you pass them), you will be able to listen to or read one of four stories that features Raymond. If you look on the bottom of the page, click on the area that says, “Hidden Story Hints” to see where the stories are hidden. Activity Village: Grid Copy Reindeer, Reindeer Template, Learn How to Draw a Reindeer, Printable Reindeer Puzzle, Reindeer Poster, Colouring Pages, Reindeer Crafts, and Reindeer Printables including printable lined writing paper. This site has a few other things to offer, so please check it out! Offers a paper bag reindeer craft, hand and foot craft idea, a reindeer anatomy chart which includes a small amount of info about reindeer, a printable reindeer that can be labeled, and a printable quiz. Christmas Decoration Crafts links to a variety of reindeer activities including food related items, yarn crafts, nature crafts, wood crafts and much more. About offers reindeer crafts for kids including reindeer made from candy canes, light bulbs, craft sticks, pine cones, and beads. DragoArt: How to draw an anime Rudolph – Site offers step by step instructions for drawing an anime Rudolph. NGK offers ‘Creature Feature’ slides to read and a short video about caribou. This site offers information about caribou migration. 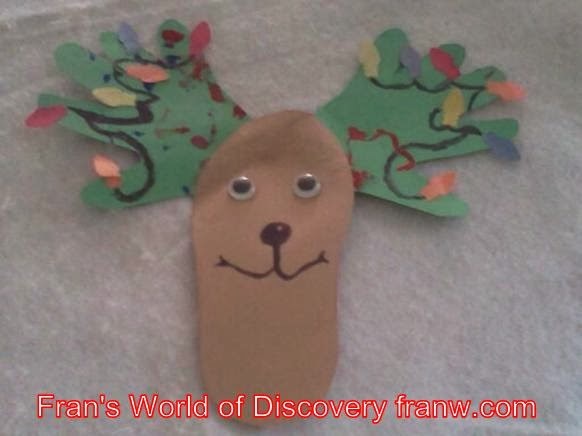 Located here on Fran’s World of Discovery, this post offers a few fun and educational links to other reindeer resources, a diorama activity and suggested topics to study along with resources. Wikipedia offers general information about caribou, their environment, habitat, antlers, diet, migration, history and more. This is the fourth lesson of a serious on Arctic Animals. Learn what it takes to graze reindeer in Alaska and learn some facts. What can be done with this information? I hope you find the info I’ve offered above and in the videos below helpful for learning about and having fun with reindeer. I’d like to offer a few more suggestions on how the information can be used and what you can do to have a real-life experience with a reindeer. Make a Reindeer Book, Diorama, a 3-D Model or a Drawing – Make a shape book, lapbook, or any kind of book that contains the information that you and/or your family find the most interesting about reindeer. Add pictures of any experiences you may have and drawings that have been made as well. 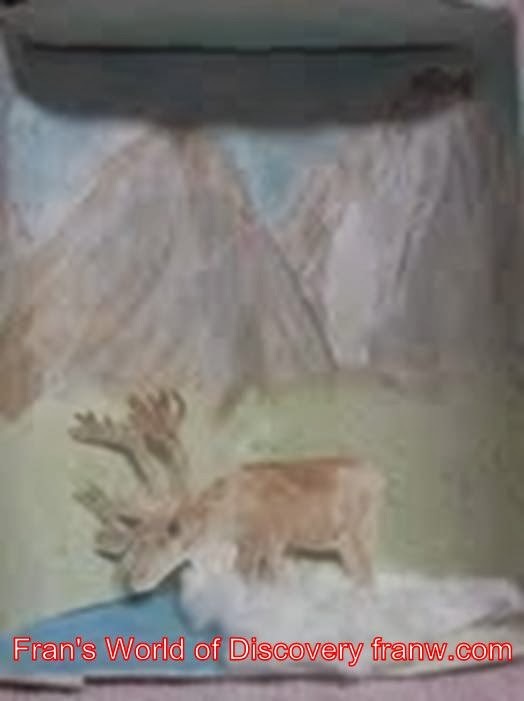 Consider creating a diorama featuring the information you learned or a 3-D model of a caribou. 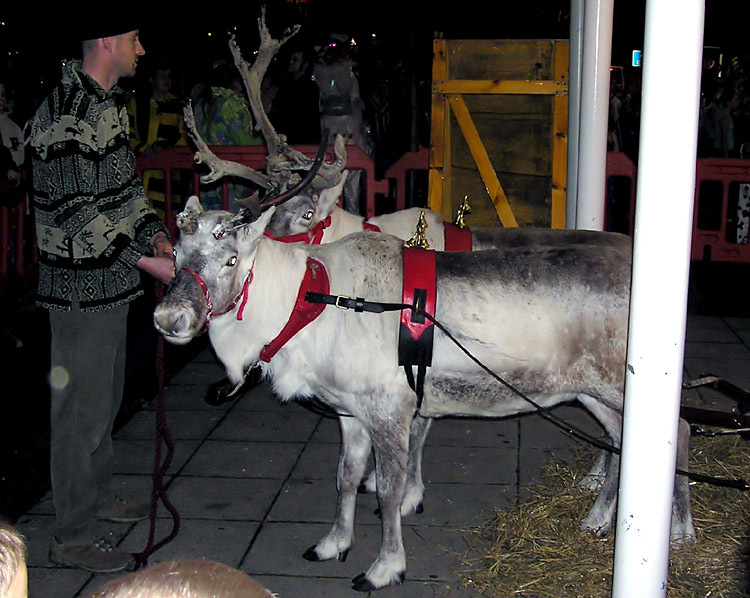 Visit a Place that has Reindeer – Some zoos or churches bring in reindeer to celebrate the winter season. If you get the chance, go and visit one. You may be able to touch one! If you are lucky enough to live in an area that’s home to these beautiful creatures, see if you can observe them, at a safe distance, in the wild. Just wanted to leave you a note letting you know that I'm adding your reindeer to “How Holidays Are Made” @ Still Learning Something New. Thank you for adding to your post! Be sure to share it here! So happy to hear you enjoyed the Reindeer Barn! We had a great there too!! !